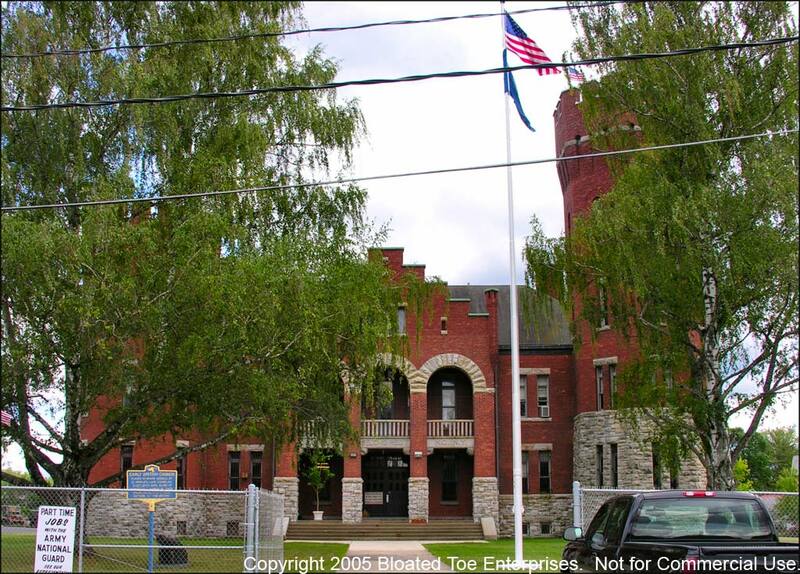 The National Guard Armory in Whitehall, NY, is located at the corner of Poultney and South Williams Streets. 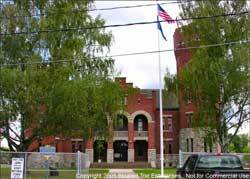 It was built in 1899-1900 by New York State as an armory and drill hall. British six-pound cannon displayed in front of Armory in Whitehall, NY. These are artifacts of the American Lake Champlain Fleet of 1776-1777 and were salvaged from Whitehall Harbor near Champlain Canal Lock 12 on 1910. 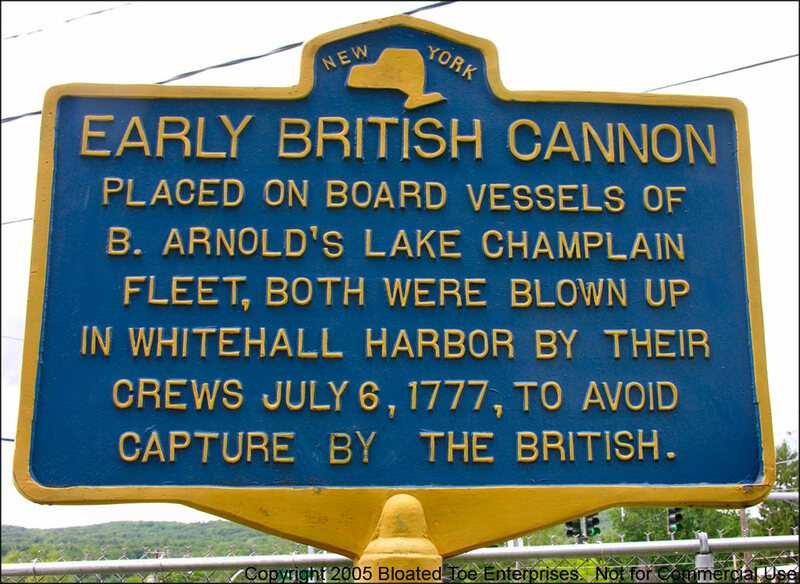 Nearby, the New York State historical sign describes the British cannon in front of armory. 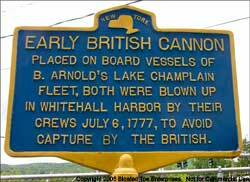 The sign reads "Early British cannon placed on board vessels of B. Arnold's Lake Champlain fleet, both were blown up in Whitehall Harbor by their crews July 6, 1777, to avoid capture by the British." 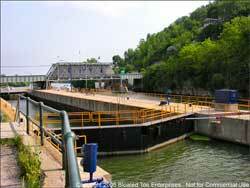 This is Lock 12 of the Champlain Canal. 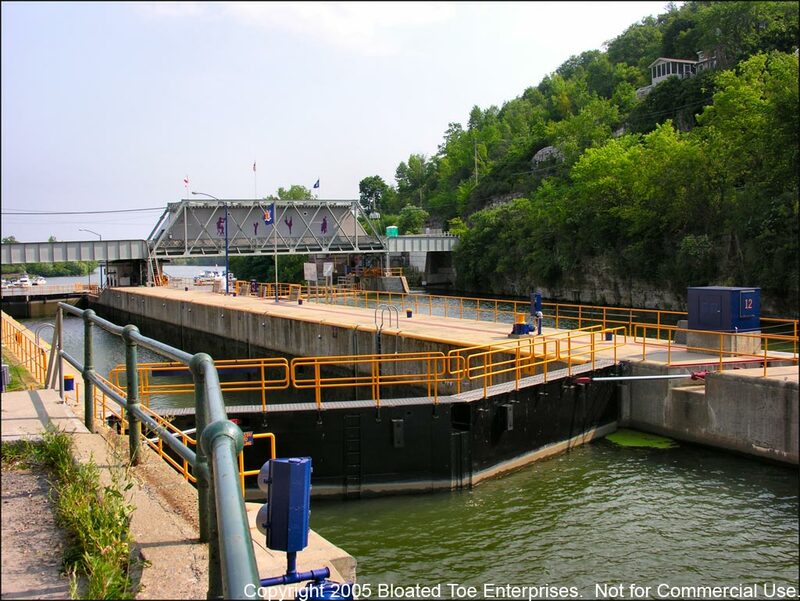 The Bridge Theater is near the center of the picture, and Lake Champlain is seen beyond the lock to the north.